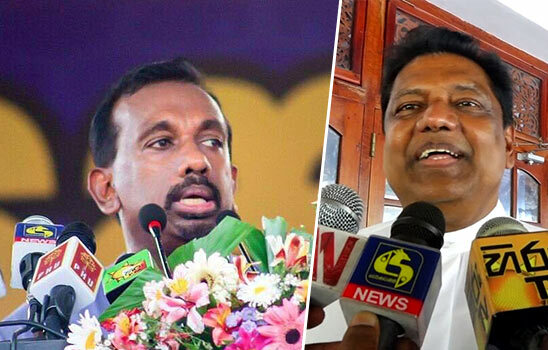 Recent reports have surfaced indicating a bitter dispute between Kumara Welgama and Mahindananda Aluthgamage. At a meeting yesterday (August 05) of the SLPP’s Kalutara district youth organisation Welgama launched a tirade on Aluthgamage after the latter claimed Welgama is playing the role of a joker. In a retaliatory speech, Welgama accused Aluthgamage of being a coward who lacks a backbone as he claimed Aluthgamage failed to take the stage at a JO rally held in Nugegoda. UPFA MP Namal Rajapakse who addressed the meeting added that no one is scared even if Maithripala Sirisena says that they will be hanged.